The BR Beer Scene: Three New Reviews! Some more beer reviews from a recent beer run to Calandro's! This time I grabbed a few packs of smaller bottles, and a handful of bombers... here's round one, the multiple beer packs! 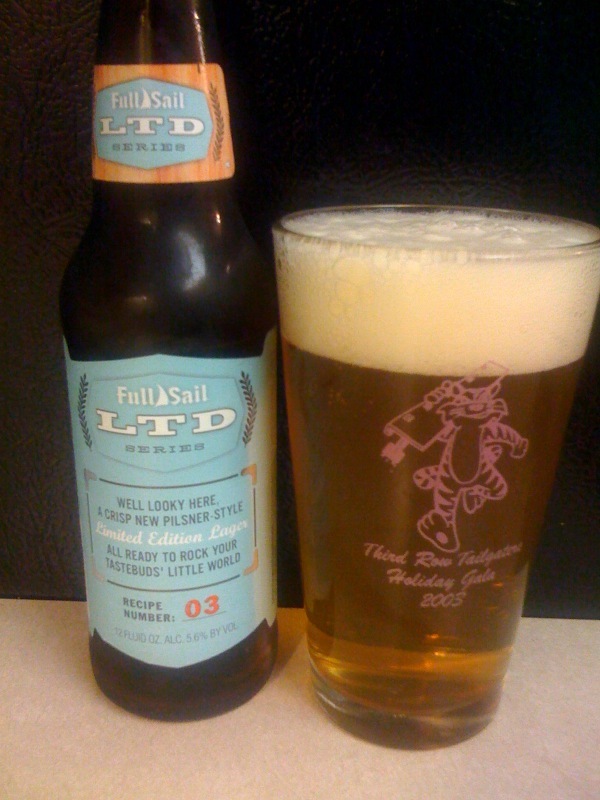 The first one I tried was a Limited Series from Full Sail Brewing, this is their #3 recipe. I've had the #1 a few years ago before I started writing the blog, but I totally missed #2. This current version is a German Pilsner recipe, and is available at Calandro's for only $8.99 per 6-pack. The aroma on this one is much bolder than the appearance lets on... good hops with a hint of caramel malts. 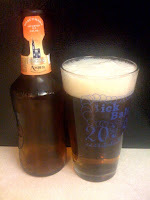 The taste is more of the same, very well balanced and super easy to drink. At this price I could go back to this one plenty and enjoy every one. For another good example of a German Pilsner, check out the Abita S.O.S. if you can still find it anywhere! I also saw some Fischer Tradition Amber, and had to pick up a 6-pack. I used to drink this stuff like crazy with my cousin Travis when they had it in the big flip-top bottles at the Chimes. It disappeared from the local markets for a while, but apparently it's back, although now in smaller bottles in 6-packs. Officially this one is a Euro Dark Lager, and it's definitely a darker amber color than a traditional lager would be. Unfortunately on re-visit to this one there's just not much to it. The smell is faint, and the flavor is undermalted and somewhat boring. I know I used to really enjoy this stuff, but either the beer has changed or my palate has... probably the latter. At $12.99 for a 6-pack, I don't think I'll be buying any more of these any time soon. The last review for this post is the BrewDog Punk IPA. 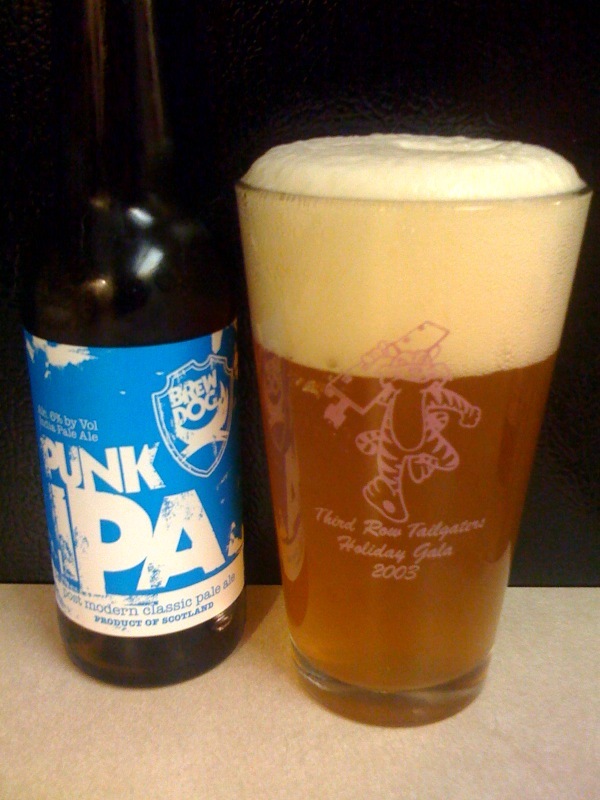 BrewDog is a Scottish brewery that has a reputation for really extreme beers (like the 32% abv. Tactical Nuclear Penguin) but this is one of their relatively tame standard offerings. The smell is hoppy with some really nice pine flavors and a subtle hint of malts. The flavor is hop dominant as an IPA should be.. again a pine flavor to them and a hint of caramel at the back. Good blend for an IPA and I really like the way the malts compliment the hoppy hit. I'm a big fan of this one, really a top notch IPA in my opinion. Easy to drink, well balanced, but not mild at all on the hops. It's a bit pricey at $12.99 for a 4-pack, but still one I'd consider going back for. It's also about to be released in cans... interesting and I'll be curious to see how the bottles and cans compare as far as flavors go. That's it for now... I have four more bombers from this trip to review, but I've only drank one of them so far, so it's going to have to wait a few days at least!